Yesterday I posted a review of writer Andrew Cartmel's terrific book The Vinyl Detective - Written in Dead Wax. After I finished reading a fictional account of a special detective I almost immediately picked up a non-fiction book about a certain great movie. 2001: A Space Odyssey (1968), for me, is one of the best ever, if not the best -- an example of how good the motion picture form can be. 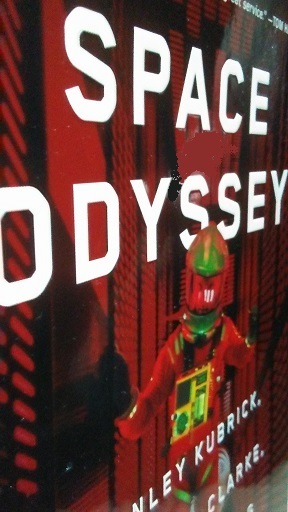 Space Odyssey - Stanley Kubrick, Arthur C. Clarke, and the Making of a Masterpiece was written by Michael Benson and it's an addictive read. At times I have to force myself to put it down. While reading about the genesis of 2001: A Space Odyssey I'm becoming convinced the film is a great work of art.